Dry brining is a big step towards phenomenal flavor in grilled meat that you’ve been looking for. Regardless of the skeptics’ thoughts, brining doesn’t have to include extra water. In fact, since I was introduced to dry brining several years ago, I practically never wet brine anything anymore. But how does dry brining work? Let’s examine wet brining first. Traditionally, the brining process involved dunking your meat in a bucket of salty water. Well, the days of being forced to give your steak a swirlie are over. Dry brining meat is the middle ground, the mediator, the compromise between wet brining and curing. The wonderful thing about brining meat is that it really jacks up the flavor because salt is an enhancer. Dry brining meat is the act of aging your meat for a brief period of time (at least when compared to cures). It also draws in water, providing moister meat during the cooking process, with added flavor. So how does dry brining work? This wonderfully simple process uses the easy to remember recipe of salt and time. But let’s break it down to the how’s, what’s and why’s. By sprinkling a small amount of salt on the meat, about the same amount you would use to cook normally, you are encouraging a process that locks moisture in the meat while shortening cooking times. Water molecules from both the air and from the meat are drawn to the surface by the salt, and start to build up into a puddle of salty liquid. The liquid dissolves the salt and the meat starts to reabsorb the briny mixture back into itself. Soon after you salt a cut of meat you will see a sheen of water and juices get pulled to the surface of the meat. This is the salt drawing moisture out of the meat and air. Eventually, the juices will dissolve all the salt and stop drawing moisture to the surface. At this point, the juices will slowly soak back into the meat, drawing the salt along with it. This process lets the salt move below the surface and into the meat so you get a deeply seasoned cut of meat through the brining process. The added benefit is that it changes the meat’s texture for the better by binding the moisture in all the nooks and cranny’s. This is why you can’t dry brine meat for less than an hour. You need to allow the moisture to return back into the meat, which takes some extra time. An hour is a minimum, although the longer the better. The salt within the meat also helps it cook faster than normal, so you can shorten your cooking time a bit. The meat will contract (lose moisture weight) about 30% less than if you don’t use a dry brining recipe. Your first step is the easy one. • I like to pat the meat dry with a dish towel (let’s save some paper, yeah?) and salt it with about the same amount I would cook with normally. 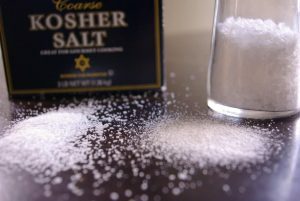 The rule of thumb is for each pound of meat, add 1/4 teaspoon of table salt or 1/2 teaspoon kosher salt. This will depend on your personal preference but I recommend kosher salt. Sprinkle the salt over the meat evenly on both sides and thoroughly rub it in. Make sure to add a little extra to the thicker spots. • Place the meat on a plate or grate over some tin foil, and slide that into a plastic bag. Now put the whole thing in your fridge. The bag will keep any funkiness from your fridge from soaking into the meat. If you are brining a steak, feel free to leave it outside of the bag if you’d rather. For poultry, you want to be extra careful for sanitary reasons, so I don’t recommend keeping it out of a sealed bag. • Now comes the most difficult part of the process. Waiting. Depending on the type of meat you are dry brining, you will wait between a few hours and a few days. I KNOW. 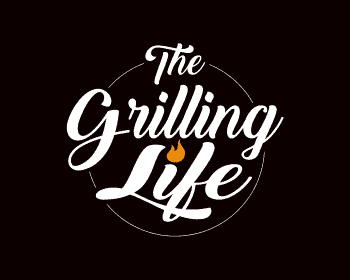 Waiting days seems outrageous, but trust me, it will make any steak exponentially better. Again, aging poultry for over a few hours might be pushing your luck. Yes, you can keep chicken in a fridge for days safely, but I pride myself on my extra safety when it comes to bird meat, so I don’t age it more than a full day. • Finally, after allowing the meat to rock its magical cycle with the brine, you can pull it out and cook it up how you see fit. 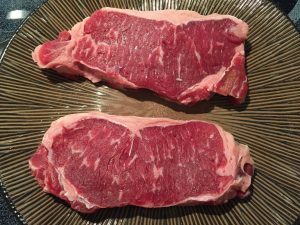 I usually pat the meat down again (especially if it has small pools of liquid shining on the surface) and use the reverse sear method to cook it on the grill. Cook it how you normally would, whether that is grilling, slow cooking, frying, or baking. If you gave it time to set, the meat is bound to have grown in flavor. Rubs are a mixture of spices and herbs used to flavor meat. Many contain salt that will penetrate the meat deeply. The remaining herbs and spices are just too large and do not dissolve in water. The larger seasonings will only penetrate less than a fraction of an inch and will not deep season the meat. While it is still advisable to use rubs that contain salt well in advance, you will not be getting all the benefits you may think you are. Superior flavor. Wet brines pull out the meats natural juices and replace them with water. Remember to pat dry the surface before grilling, especially if you want a whiskey brown sear. Otherwise, with the added surface moisture, it will be more like a steam than a sear. Cooking times are often reduced so keep an eye on your meat and be ready to remove from the fire earlier. Add more brine to the thicker parts of the meat to make sure it penetrates deeply enough. Most rubs will not penetrate the meat enough unless they have a good concentration of salt. Salt-free rubs or rubs with sugar in them will not brine your meat. Try you brining skills out on a smaller piece of meat (think steak or chicken breast) for your first attempt instead of jumping right in on a whole turkey or beef brisket. Practice makes perfect. For every pound of meat, you should use about ½ teaspoon of salt. The amount of salt can vary depending on your personal taste. I recommend at least ¼ teaspoon per pound. Feel free to play around with the exact amount though. It really comes down to taste, and a lesser amount of salt will still get the job done. For steaks and small roasts, you can let them rest for as little as 24 hours. I recommend letting it sit for at least two days for the best results. The longer you let it sit, the more your meat will tenderize and absorb the salt. It is possible to overdo it though, so keep that in mind. Large roasts and other cuts up to seven pounds could sit up to 36 hours. The larger the piece of meat, the longer it takes for the salt to be absorbed deep into the center. You want to make sure you give it enough time to thoroughly absorb for the best result. Anything over seven pounds could rest between 48 hours, and up to 72. Remember, there is a line between greatly aged and pushing funky. I personally don’t dry brine meat for over 36 hours. For every pound of poultry meat, use about a ¼ teaspoon of salt. Again, this can vary depending on your personal taste. It is a good idea to practice the process on a small cut, like a chicken breast, to test out the salt levels. That way you won’t end up with an entire Turkey that is extremely too salty for your preference. Chicken breasts, thighs, and other cut pieces should rest at least three hours and can sit up to 12 hours. Don’t overdo the aging process with chicken, it isn’t worth the funk or the risk of bacteria. Whole birds should sit at least 24 hours, but not more than 36. This can include full chickens and full turkeys. The salt will penetrate their skin, so don’t worry about that. Just give it the time and space to figure out what it’s doing with its afterlife. You’ll be happy with the results. If you haven’t caught on yet, the dry brining process offers some great perks. But here’s a quick overview of why it is worth checking out this awesome food prepping style. The salt levels give a great boost in flavor. As the salt is absorbed throughout the meat, it seasons the entirety of the meat instead of just the surface. The process of drawing salt and liquid back into the meat keeps its moisture locked in; making sure your food stays nice and juicy. 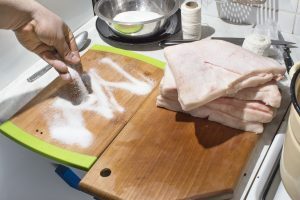 By absorbing the salt, the meat also becomes more tender. So not only do you get the better flavor but better texture as well. The dry brining process is simple, so don’t be afraid to try it out. 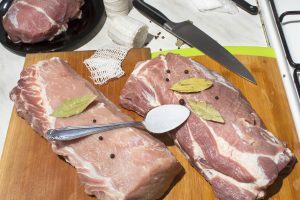 If you are looking for a way to spice up your dinner plate, dry brining meat will give you a simple solution. As long as you remember to plan ahead, you’ll have a delicious new way to prepare your meat. As always, if you or someone you know find this information on How Does Dry Brining Work; please consider sharing it with your Grilling friends and on social media! If you would like to leave a comment or have useful tips of your own to share on how to dry brine meat, please do so below. We always welcome your input.